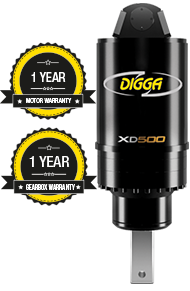 The Digga Xtreme Drive range is the ultimate in extreme high torque performance up to 360,000ft-lbs. Digga's range of Xtreme Drives provide the most versatile selection of supreme planetary drives combining greater power and speed - more than ever before. Designed for screw piling and ground anchor installation. Digga’s innovative compact design and industry leading innovations make this range of drive units the industry’s first choice for anchored applications. 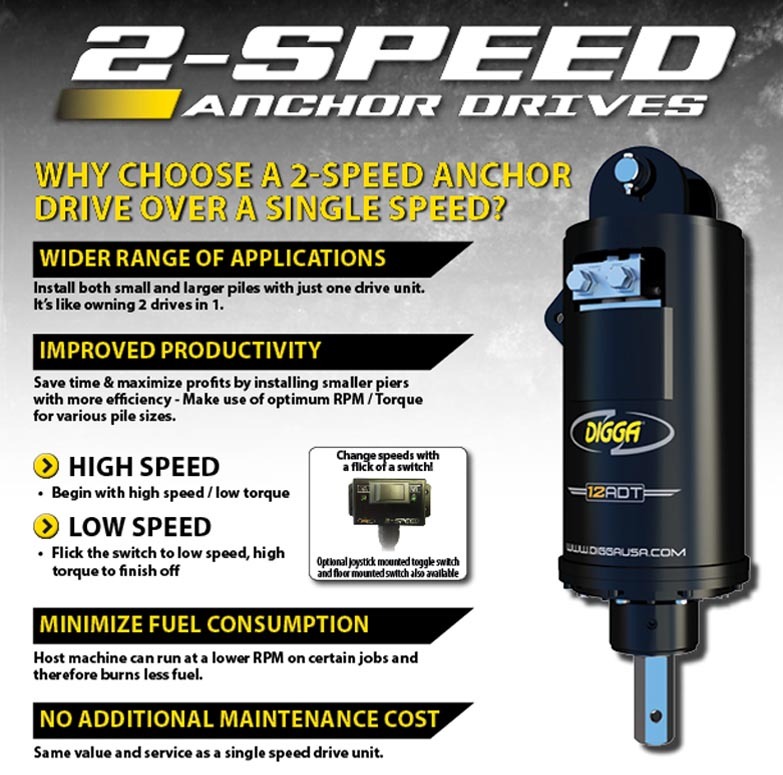 With world leading technology as standard inclusions such as the Energy Control Valve (ECV) which prevents rapid decompression of oil caused by pile kick-back, and a built-in Pressure Relief Valve (PRV) to give you peace of mind that your investment is protected. Overall Length 95" 95" 95" 95"
Diameter 32.3" 32.3" 32.3" 32.3"